What are portable air conditioners? 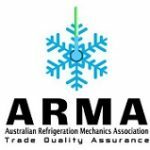 – Air-conditioning Forum – ARMA\’s Consumer Community Forum – Because Customers Matter! Most portable air conditioners are compromised by their design and are best chosen if no other alternative is available. There are two distinct types. Some have a remote condenser which can be hung out a window in the same way a split system works. In theory this is the best solution but in practice it can be awkward. Others have a ducted condenser which blows conditioned air out a duct. This is less than ideal because you lose conditioned air while the duct also radiates heat back into the room. Neither are great as they have the compressor in the room, so they’re far louder than a comparable split. They are also more expensive to buy than a split although they do generally work out cheaper as they don’t require professional installation. Some ducted units require water to operate properly as they use water to cool the condenser. Such units use the waste water condensed from the air but will operate more efficiently if additional water is added.